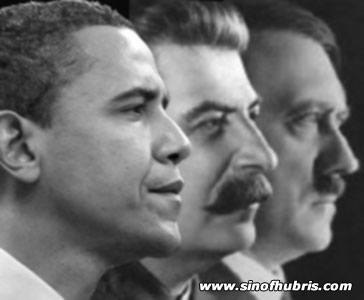 EVER NOTICE THE SIMILARITY IN THEIR 3 NAMES & MUSLIM FAITH ? 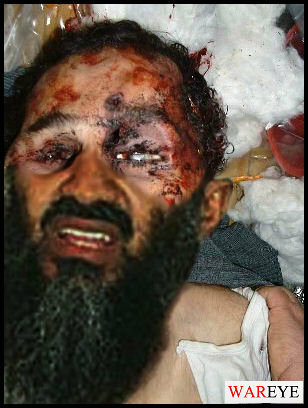 barack saddam HUSSEIN OBAMA OSAMA bin laden ? 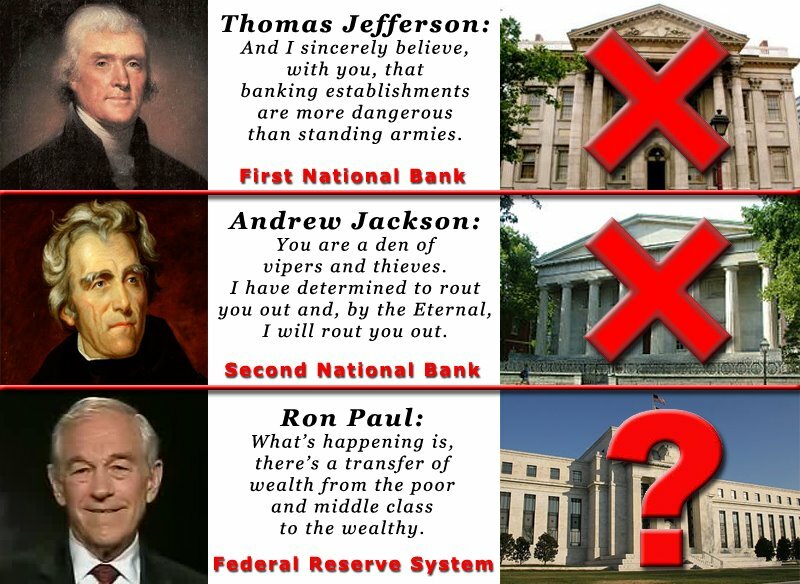 EVER NOTICE THE SIMILARITY IN THE 3 NAMES ? 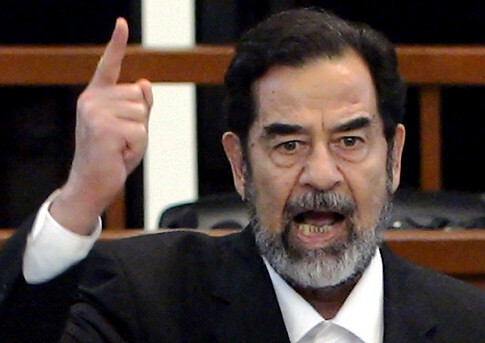 barack saddam HUSSEIN OSAMA bin laden OBAMA ? 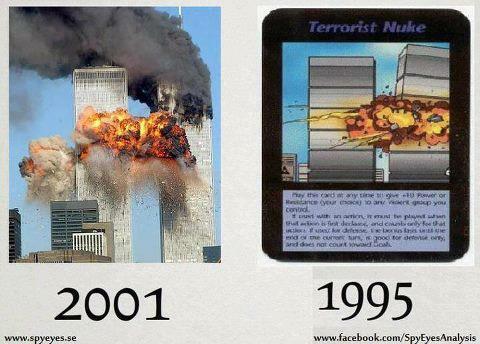 9/11 WHO COULD HAVE IMAGINED ? 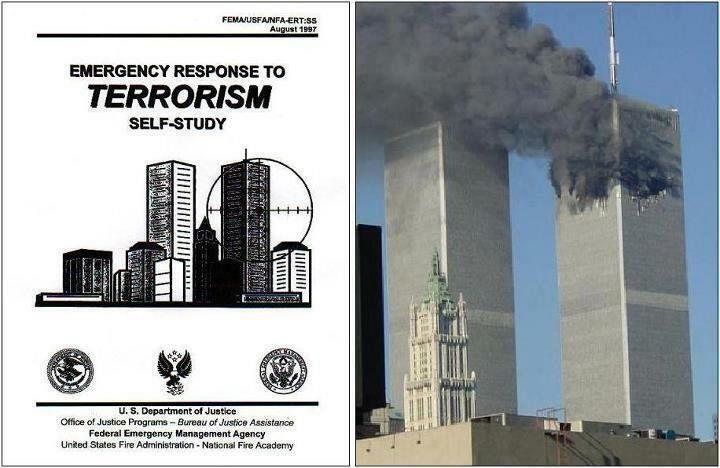 WTC WHO KNEW WTC 1,2, & 7 ? 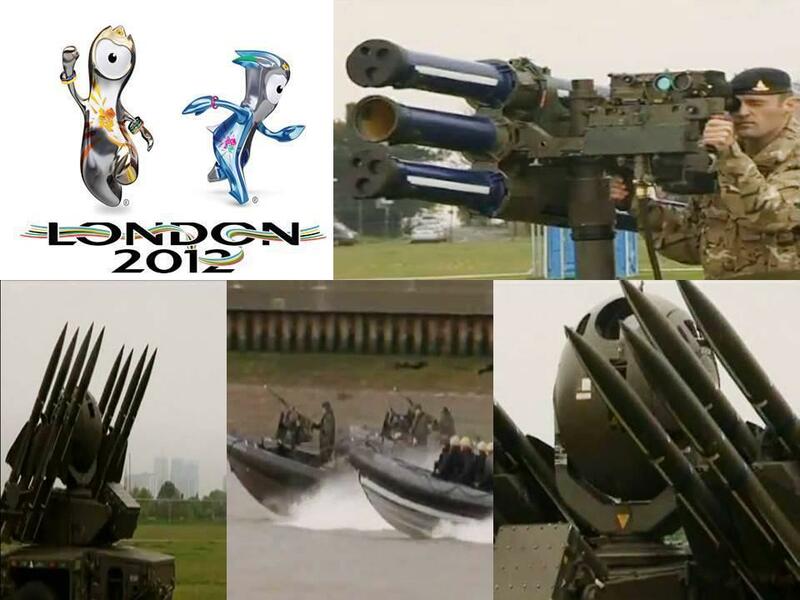 London 2012 Olympics: The Staging Ground for the Coming Police State ? 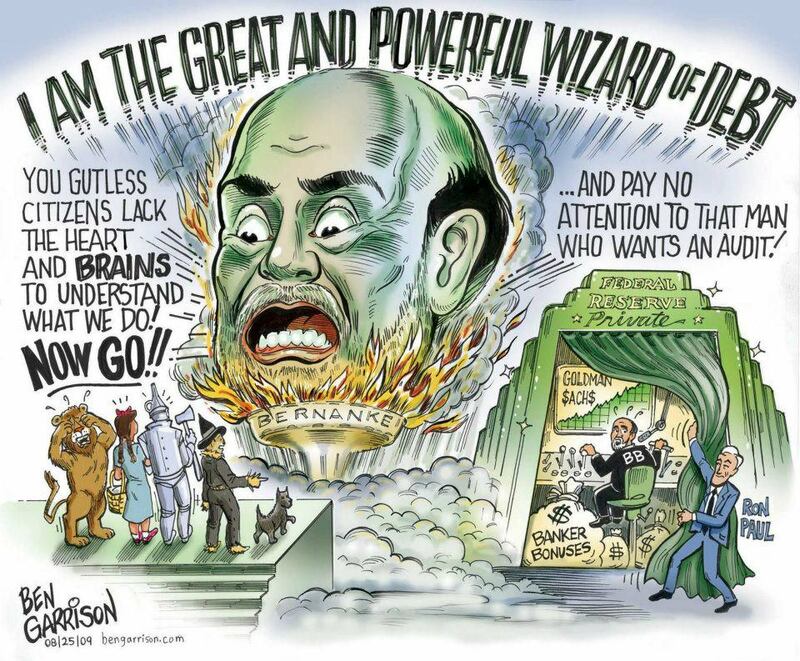 Bread & Circuses ! 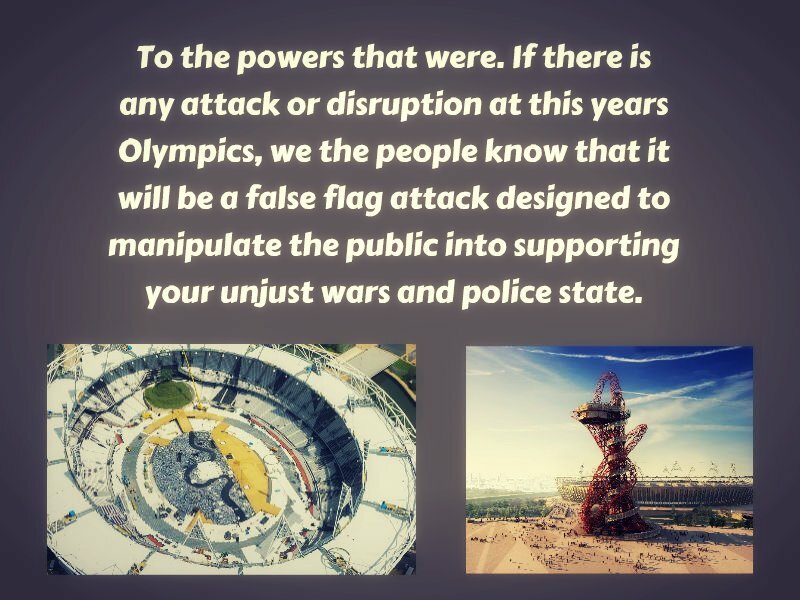 London 2012 Olympics: The Staging Ground for the Coming Police State? And what is London showing the world? Sappenfield suggests that London is showing off its new ultramodern and efficient infrastructure, but if the security for the 2012 Olympics is anything to go by, it would seem that London is really showing the world how easy it is to make the move to a police state without much opposition from the populace. It’s what the Romans used to refer to as “bread and circuses”—the idea that the key to controlling the masses is by satiating their carnal appetites and entertaining them with mindless distraction. 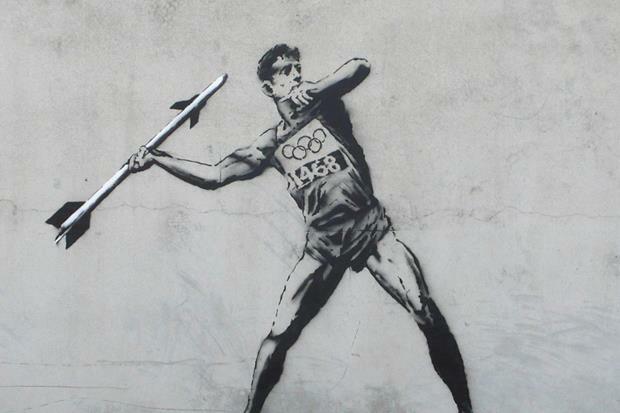 Thus, while the world loses itself in the pomp and circumstance of a thoroughly British Olympics, complete with Sir Paul McCartney rocking the opening ceremony, celebrity sightings galore and a fair share of athletic feats and inspirational victories to keep us glued to our TV sets, a more sinister drama will be unfolding. 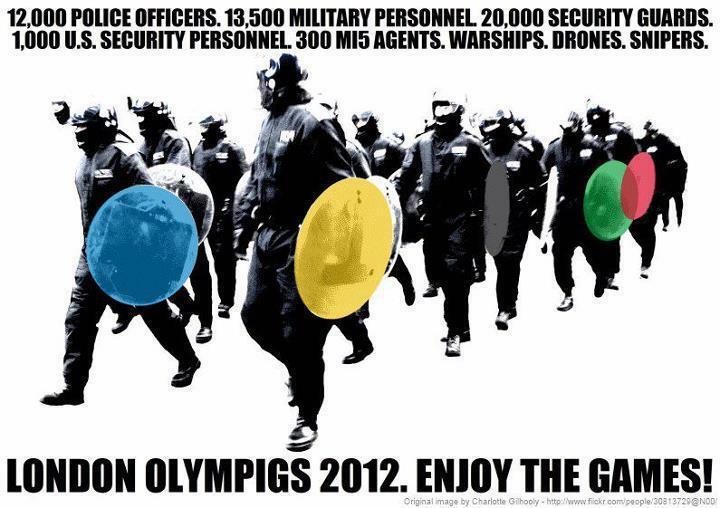 Welcome to the 2012 Summer Olympics, the staging ground for the coming police state. In addition to the usual tourist sights such as Buckingham Palace, the Tower of London and Big Ben, visitors to London may find themselves goggling at the military aircraft carrier floating in the Thames, the Typhoon fighter jets taking to the skies, ready to shoot down unauthorized aircraft, aerial drones hovering overhead to track residents and tourists, snipers perched in helicopters, an 18-km high, 11-mile long, 5,000-volt electric stun fence surrounding Olympic Park, and 55 dog teams patrolling the perimeter. 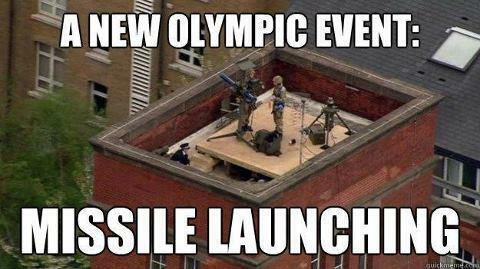 Several locations throughout London will also feature surface-to-air missiles, including some residential areas in East London that will have them perched on top of apartment buildings. All these and more are supposedly part of the new security apparatus required to maintain security in an age of terror. Roughly 13,000 private security guards provided by G4S, the world’s second largest private employer, will be patrolling the streets of London, under a $439 million contract with the British government. 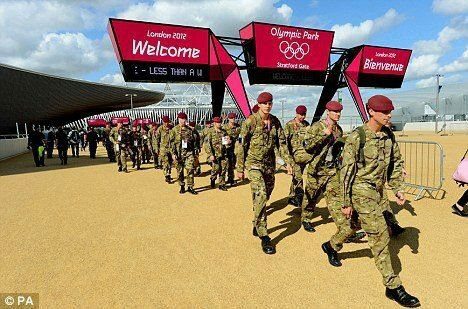 Due to some last minute trouble recruiting and training guards, 3,500 additional British military troops will be called in, making a total of 17,000 troops scheduled to police the Olympics. 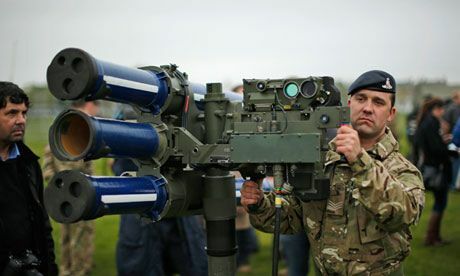 More than 500 American federal agents, trained in the methods of security theater, will be on hand to assist Britain’s security forces. 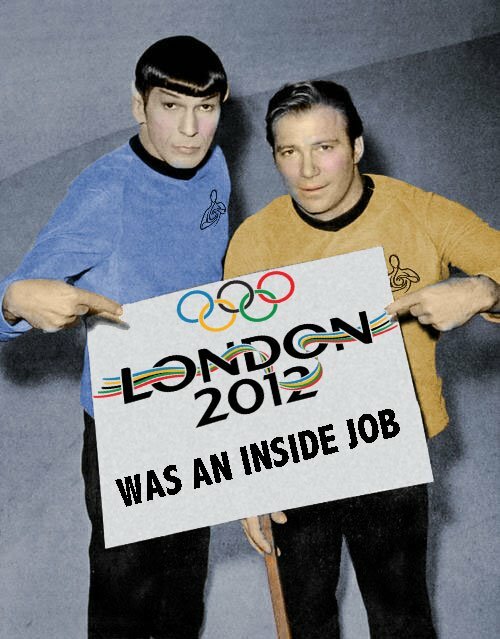 In fact, the CIA, State Department, and FBI have all been working closely with British authorities for well over a year in preparation for the Olympic games. TSA agents—infamous for stealing large sums of money from passengers’ luggage, patting down children and the elderly and handicapped, and, among other things, breaking diabetic passengers’ insulin pumps—will also be on loan to the British to assist with airport passenger screening during the Games, which will include fast-track fingerprinting for Olympic athletes. And then there’s the surveillance. With one government-operated outdoor surveillance camera for every 14 citizens in the UK, Great Britain is already widely recognized as a surveillance society. 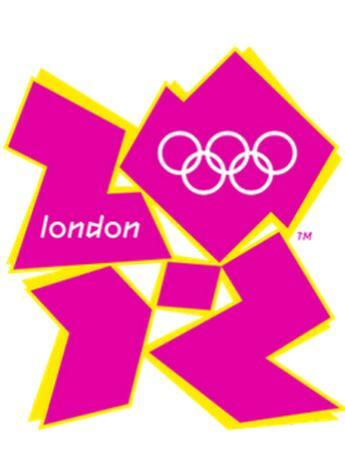 However, in preparation for the Olympics, London has also been “wired up with a new range of scanners, biometric ID cards, number-plate and facial-recognition CCTV systems, disease tracking systems, new police control centres and checkpoints. These will intensify the sense of lockdown in a city which is already a byword across the world for remarkably intensive surveillance,” reports journalist Stephen Graham. Even neighborhoods beyond Olympic park have been embedded with biometric scanners and surveillance cameras with automatic facial and behavior recognition technologies. Many such systems, deliberately installed to exploit unparalleled security budgets and relatively little scrutiny or protest, have been designed to linger long after the athletes and VIPs have left. Already, the Dorset police are proudly boasting that their new number-plate recognition cameras, built for sailing events, are allowing them to catch criminals more effectively. In Athens, the $300m “super-panopticon” CCTV and information system built for the Games following intense US pressure remained after the event, along with the disused sports facilities. In fact, the system has been used by Greek police trying in vain to control the mass uprisings responding to the crash and savage austerity measures in the country. Looking at these various points together shows one thing: contemporary Olympics are society on steroids. They exaggerate wider trends. 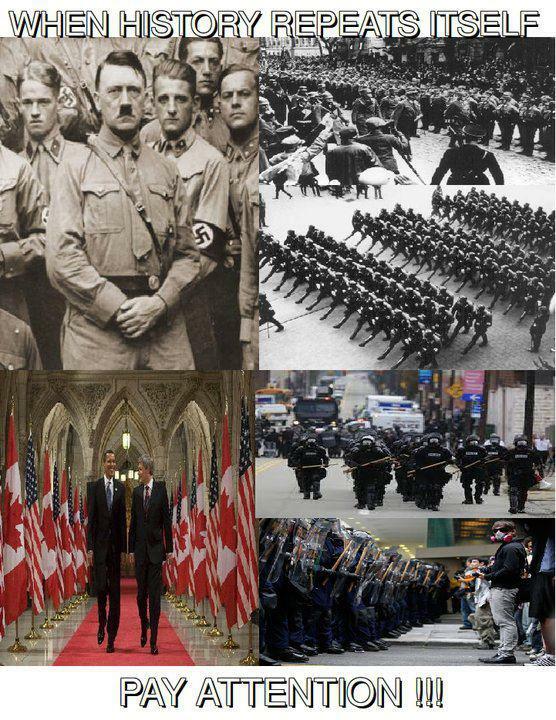 Far removed from their notional or founding ideals, these events dramatically embody changes in the wider world: fast-increasing inequality, growing corporate power, the rise of the homeland security complex, and the shift toward much more authoritarian styles of governance utterly obsessed by the global gaze and prestige of media spectacles. 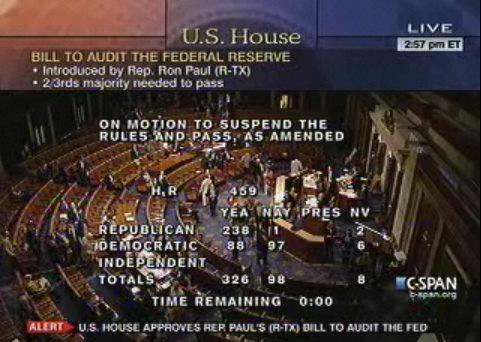 RON PAUL’S BILL HR459 PASSED THE HOUSE 327 TO 98 !!! 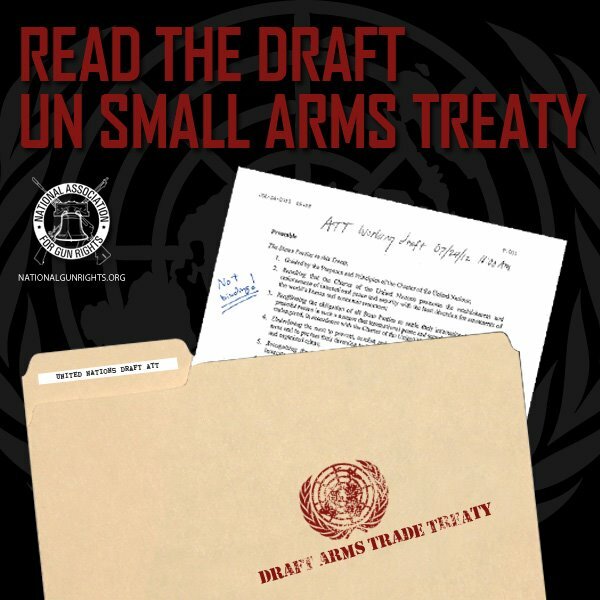 MONTREAL–(LadyDragon.com)25/07/12–The House of Representatives on Wednesday approved the bill H.R. 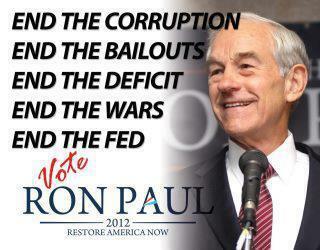 459 from the Republican Ron Paul from Texas 327-98. 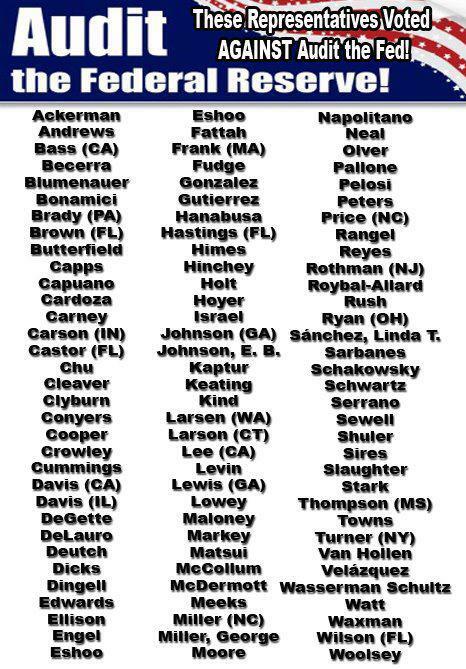 The bill was suppose to vote on yesterday but was delayed until this afternoon. 2:59:03 P.M.- On motion to suspend the rules and pass the bill, as amended Agreed to by the Yeas and Nays: (2/3 required): 327 – 98 (Roll no. 513). 2:59:04 P.M.- Motion to reconsider laid on the table Agreed to without objection. 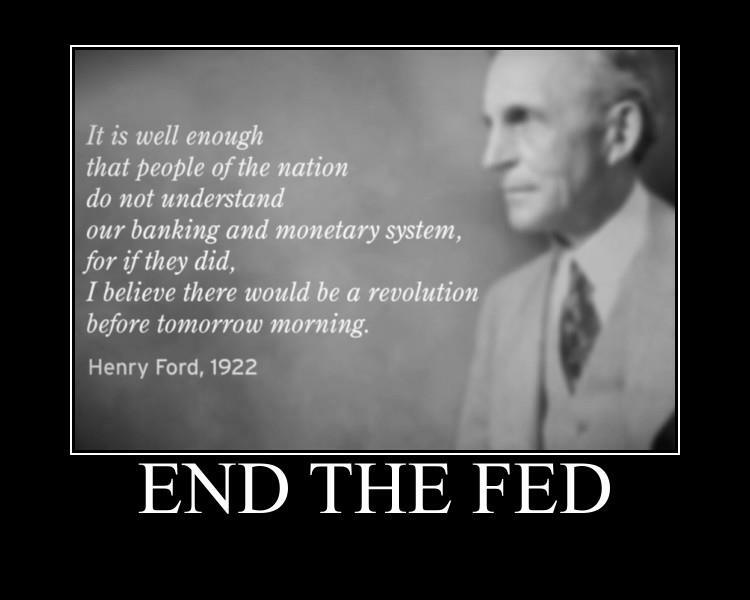 This is great news for everyone except for people involve with the Fed. 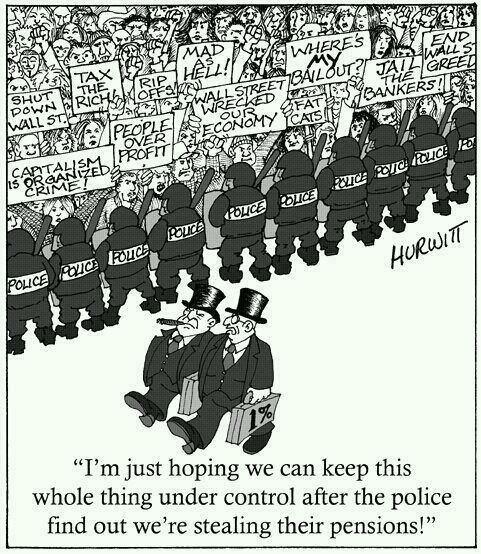 Noghtmare Scenario for them, certainly not for any of us. 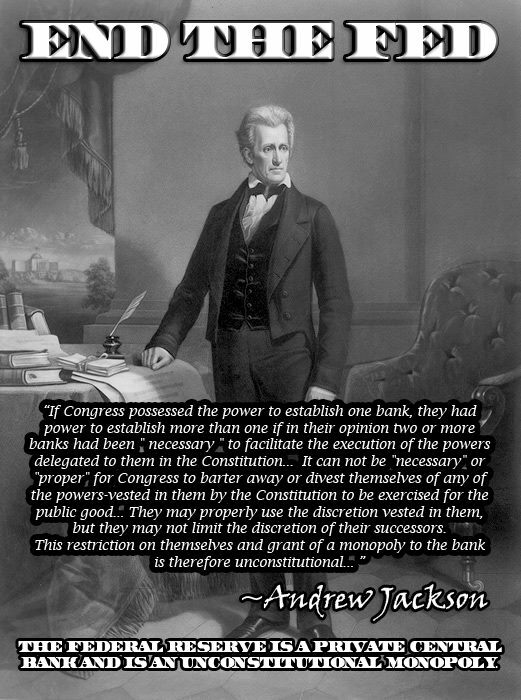 “The Fed should not be permitted to operate in the dark without oversight by Congress and accountability to the people. 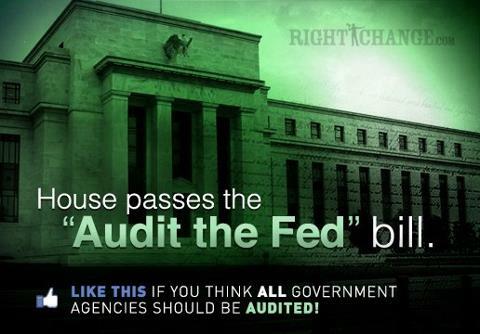 The American people deserve no less than a full and complete audit,” said Rep. Dennis Kucinich, an Ohio Democrat, in a statement on Tuesday. 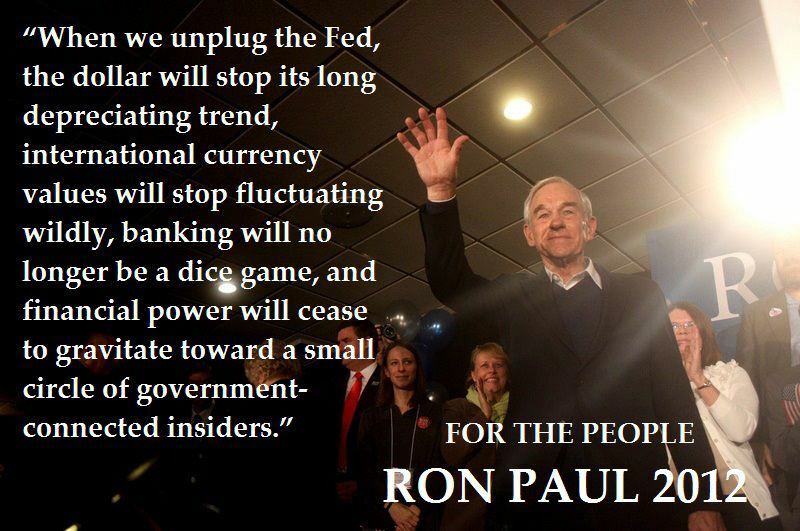 “Ron Paul’s ‘Audit The Fed’ bill is a reminder of his tireless efforts to promote sound money and a more transparent Federal Reserve,” Romney posted on Twitter. 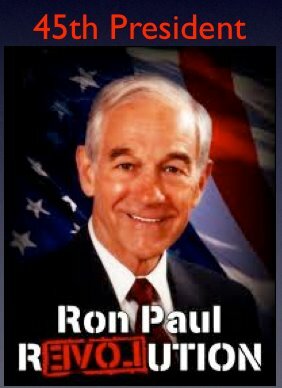 This is a great win for Ron Paul the bill faces major obstacles in the sanate because Harry Reid, the Senate Majority Leader and Nevada Democrat, has vowed not to put it to a vote. 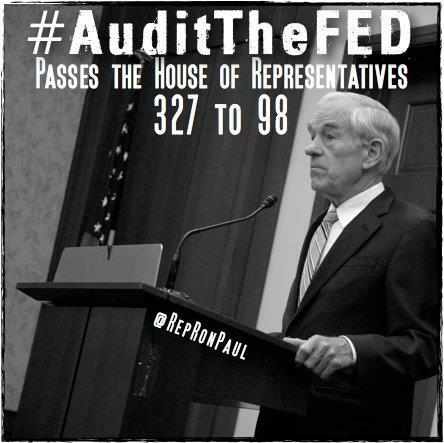 HR459 AUDIT THE FED = END THE FED = RON PAUL ! 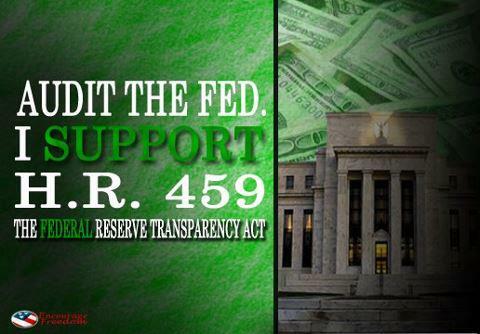 LIVE: Audit The Fed: HR 459 – 271 Co-sponsors – Debate July 24, Vote July 25, 2012! 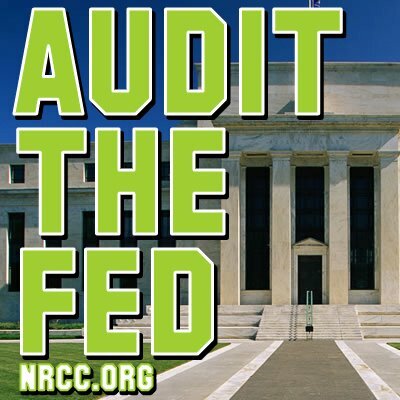 Title: To require a full audit of the Board of Governors of the Federal Reserve System and the Federal reserve banks by the Comptroller General of the United States before the end of 2012, and for other purposes. 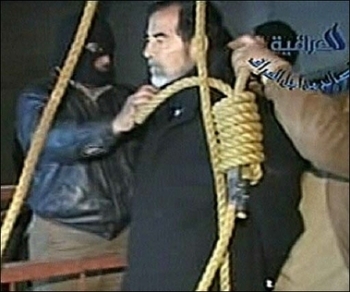 Latest Major Action: 2/8/2011 Referred to House subcommittee. Status: Referred to the Subcommittee on Government Organization, Efficiency, and Financial Management . What IF he is RIGHT ??? 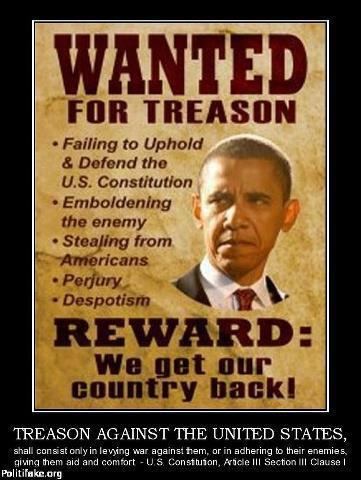 If he is its almost to late! Take the three minutes to read this. 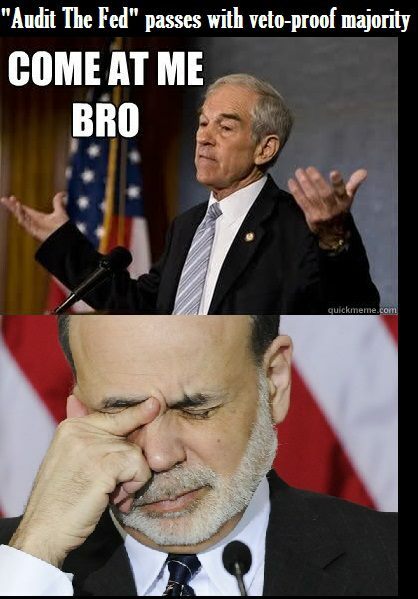 Maybe he is wrong, but what if he’s right? 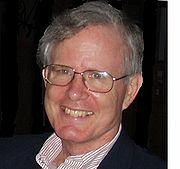 David Kaiser is a respected historian whose published works have covered a broad range of topics, from European Warfare to American League Baseball. 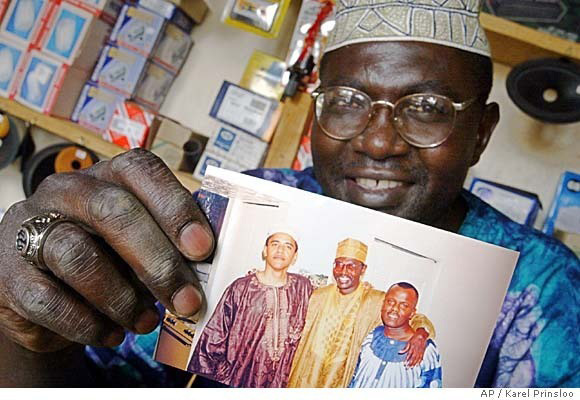 Born in 1947, the son of a diplomat, Kaiser spent his childhood in three capital cities: Washington D.C. , Albany , New York , and Dakar , Senegal .. 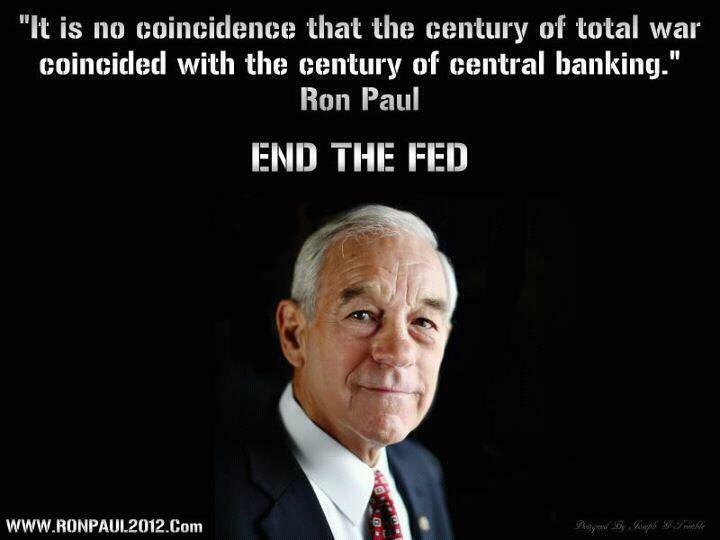 He attended Harvard University , graduating there in 1969 with a B.A. in history. 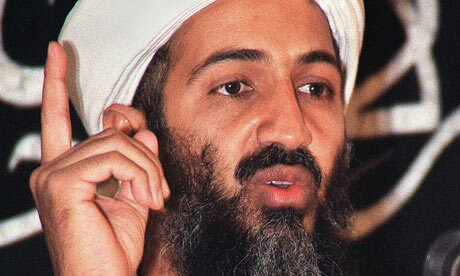 He then spent several years more at Harvard, gaining a PhD in history, which he obtained in 1976.. He served in the Army Reserve from 1970 to 1976. He is a professor in the Strategy and Policy Department of the United States Naval War College . 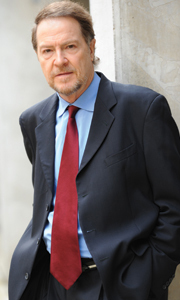 He has previously taught at Carnegie Mellon, Williams College and Harvard University . Kaiser’s latest book, The Road to Dallas, about the Kennedy assassination, was just published by Harvard University Press. I am a student of history. Professionally, I have written 15 books on history that have been published in six languages, and I have studied history all my life. 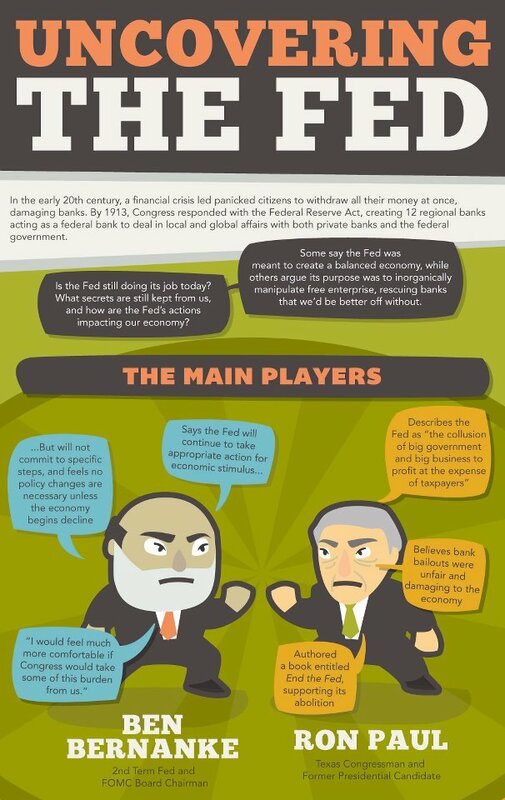 I have come to think there is something monumentally large afoot, and I do not believe it is simply a banking crisis, or a mortgage crisis, or a credit crisis. 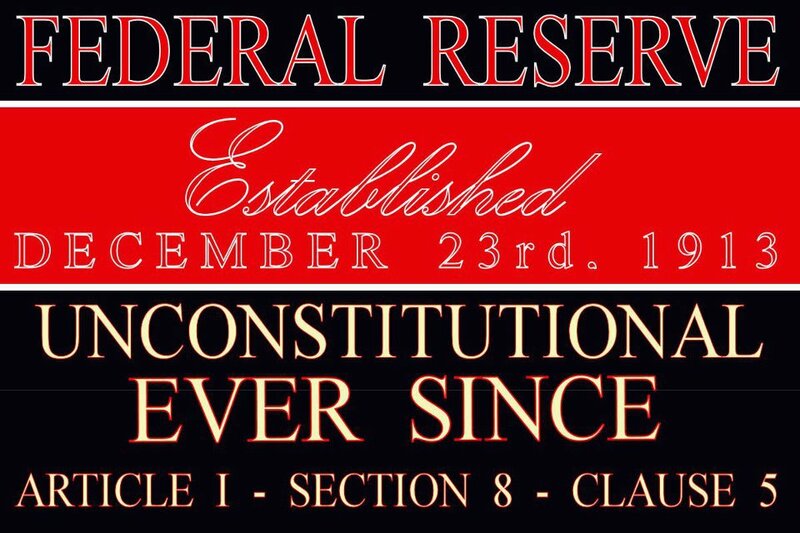 Yes these exist, but they are merely single facets on a very large gemstone that is only now coming into a sharper focus..
Now our mortgage industry is collapsing, housing prices are in free fall, major industries are failing, our banking system is on the verge of collapse, social security is nearly bankrupt, as is Medicare and our entire government. Our education system is worse than a joke (I teach college and I know precisely what I am talking about) – the list is staggering in its length, breadth, and depth.. 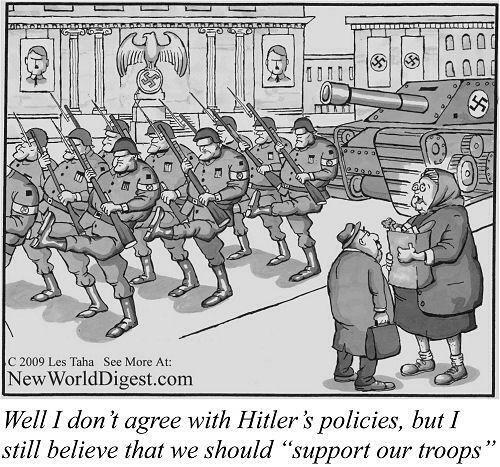 It is potentially 1929 x ten…And we are at war with an enemy we cannot even name for fear of offending people of the same religion, who, in turn, cannot wait to slit the throats of your children if they have the opportunity to do so. As a serious student of history, I thought I would never come to experience what the ordinary, moral German must have felt in the mid-1930s In those times, the “savior” was a former smooth-talking rabble-rouser from the streets, about whom the average German knew next to nothing. 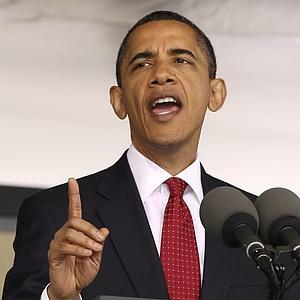 What they should have known was that he was associated with groups that shouted, shoved, and pushed around people with whom they disagreed; he edged his way onto the political stage through great oratory. Conservative “losers” read it right now. How did he get people on his side? 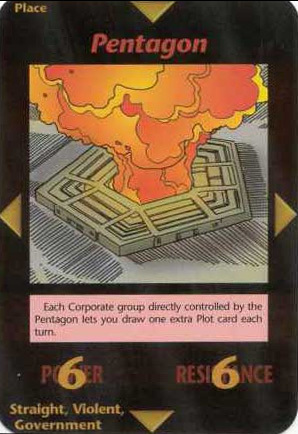 He did it by promising jobs to the jobless, money to the money-less, and rewards for the military-industrial complex. 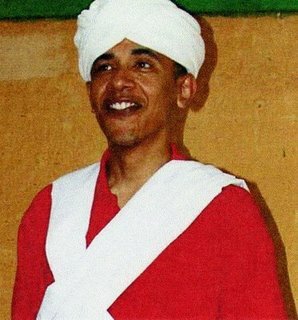 He did it by indoctrinating the children, advocating gun control, health care for all, better wages, better jobs, and promising to re-instill pride once again in the country, across Europe , and across the world. 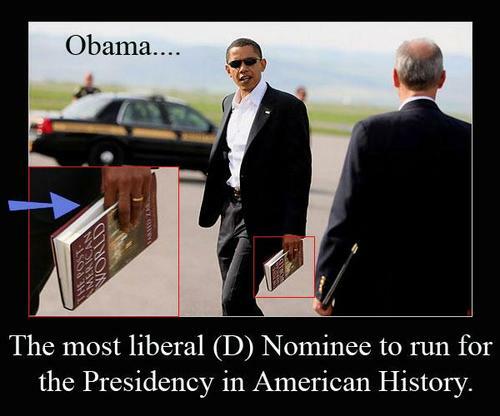 He did it with a compliant media – did you know that? 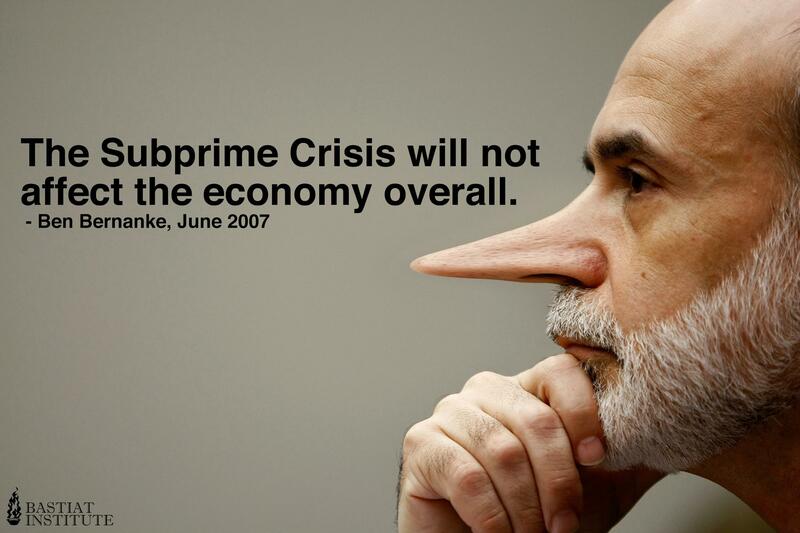 And he did this all in the name of justice and …. . … change. And the people surely got what they voted for. Do not forget that Germany was the most educated, the most cultured country in Europe . It was full of music, art, museums, hospitals, laboratories, and universities. 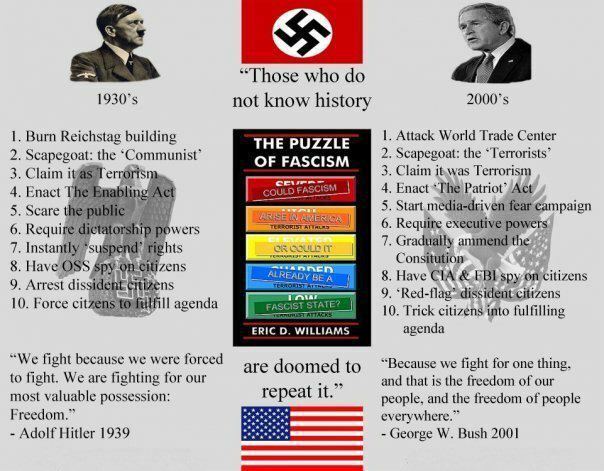 And yet, in less than six years (a shorter time span than just two terms of the U. S. presidency) it was rounding up its own citizens, killing others, abrogating its laws, turning children against parents, and neighbors against neighbors.. All with the best of intentions, of course.. The road to Hell is paved with them. 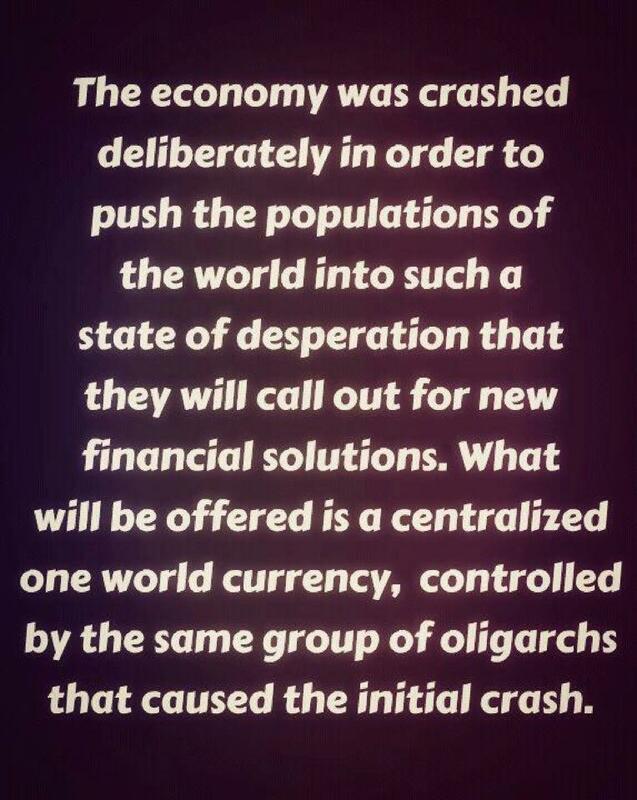 By passing this along, perhaps it will help to begin the awakening of America as to where we are headed.